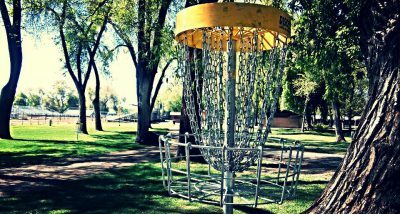 Why Build a Disc Golf Course? A disc golf course is one of the most economically efficient and productive investments for sports and recreation. Few other park and recreation options are as affordable and will get as much regular use by a diverse population as disc golf. For example, a disc golf course costs $15-20k. By comparison, a tennis court costs around $50k, and a soccer field around $200k. Plus, people of all ages and backgrounds can play disc golf. We have compiled a few thoughts and resources that help explain why disc golf is beneficial, and some advice for what to consider when building a disc golf course. Click on the links below to see detailed information about the various aspects, technicalities, and benefits of adding a disc golf course. Can be played by almost EVERYONE. Versatile sport that can be played a variety of different ways all year round.